I used the sketch from Christian Paper Crafts Sketch Tuesday #95 for this card. 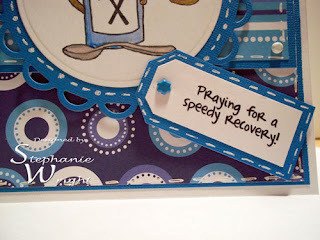 I love this Get Well Cocoa image from Sweet 'n Sassy Stamps. 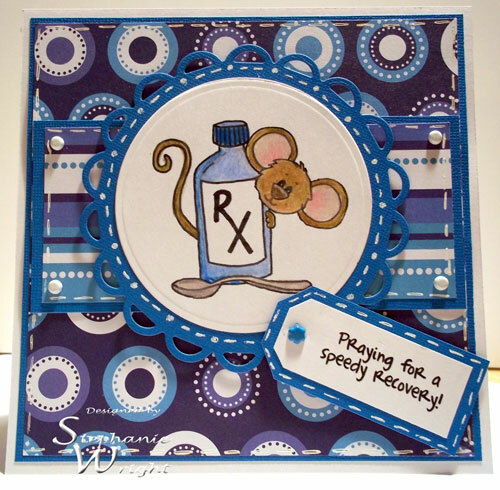 I also used one of the sentiments from the Get Well Wishes set on my card. I thought this blue paper was bright & cheery. It's also a bit busy so I tried to "anchor" the patterns with the solid blue cardstock. I used my white pen for some faux stitching & doodling. 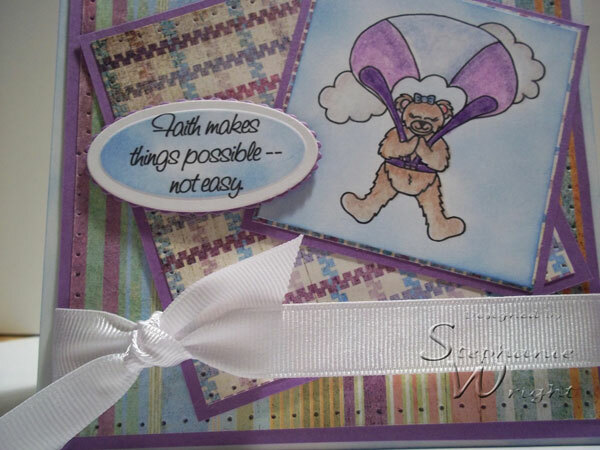 For this card, I'm using the adorable Leap of Faith set available at Deedee's Digis. I also used one of the three sentiments that is included with the bear image. I love how this little bear is praying as she floats in the sky. 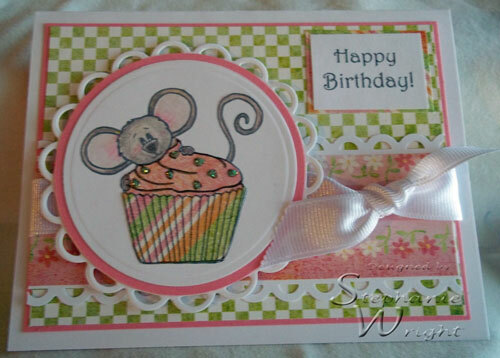 I used sketch SC309 from Splitcoast Stampers for my card. I colored my bear and the cloud with Prismacolor pencils. Then I sponged the sky with ink. 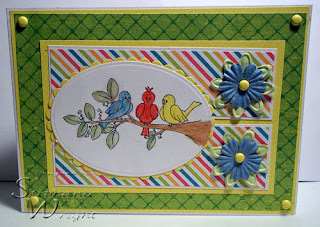 After cutting out my sentiment with a petite oval Nestabilties, I sponged it with the same ink before removing the die. Thanks for stopping by & I hope you have a good weekend!! 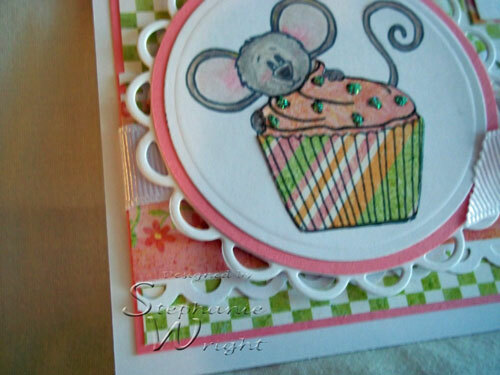 This card is for this week's Sweet Stop Sketch w/a Twist (SSS96). There is a prize up for grabs this week! You can find the sketch, a picture of the prize and all the details at The Sweet Stop. The "twist" this week is to "Think Spring. I loved this One of a Kind set as soon as I saw it. I'm using the digi version but there's a clear stamp version too. Both sets come with some great sentiments. I opted to not use any sentiment on the front of my card this time. This card is 5 3/8 x 7 3/8. I used the card base piecing technique Becca demonstrated on her blog in today's Becca Bit. A few weeks ago, my Monday got off to a great start when Deedee from Deedee's Digis emailed me and asked if I'd be part of her Design Team. I was very excited to say, "Yes." What an honor!! Deedee made the official announcement earlier this week and here is my first card as a DT member. 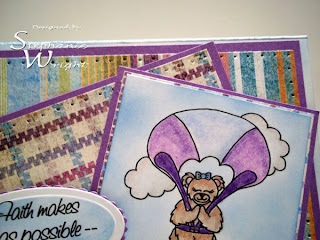 I chose to use this week's $1 Digi, Pocketful of Joy. If you play along with the challenge here and use a Deedee's Digi image, Deedee will send you this digi for free. As soon as I saw this cute stamp, I knew I wanted to paper piece the pocket. As a cat-lover, I thought this little kitty was adorable and I had to color it gray in honor of my own kitty, Sasha. First, I paper pieced the pocket of the card. After, coloring the kitty with my prismacolor pencils, I cut her out and pieced her on top of the pocket. Then I used my paper piercer to poke "stitch" holes in the edge of the pocket. I made stitches between the holes with my white Uni-Ball Signo pen. I also colored in the ribbons with this white pen. 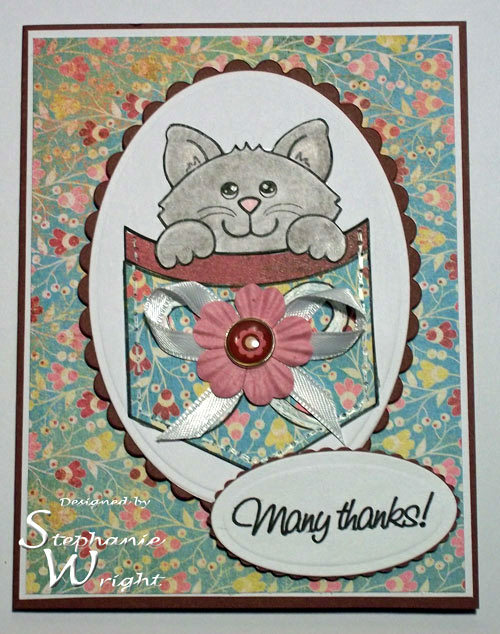 I needed a thank you note for a fellow cat-lover, so I used a sentiment from the Gracious Greetings set. After cutting out & matting my image, I added a bow, flower & brad to the pocket. 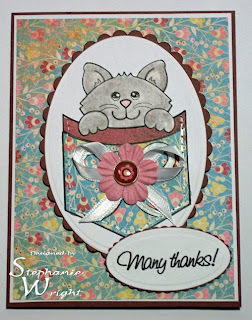 I used this week's Stamp TV Sketch challenge for my card. First, I have some exciting news to share. 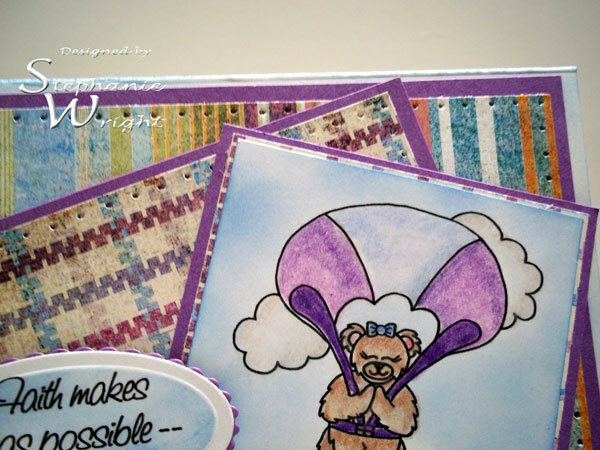 Korin, the owner of Sweet 'n Sassy Stamps, asked me to be on her Design Team (DT) to help promote Sweet 'n Sassy Stamps (SNSS) over on the Christian Paper Crafts website and here on my blog. I am so excited for this opportunity to be a part of her DT and you've probably guessed by now that I love SNSS. Here's my first project for my new DT position. I needed to make card for a little girl at our new church that is celebrating her 4th birthday. 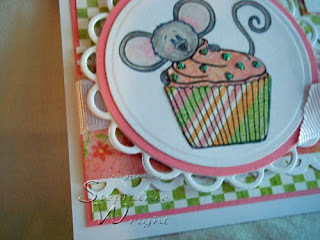 This week's Sweet Stop Sketch and Cupcake Cocoa were perfect for this card. I paper pieced the cupcake wrapper & frosting then accented the frosting with stickles & a glitter pen. I colored Cocoa with my Prismacolor pencils. It made a sweet card for a very sweet little girl.